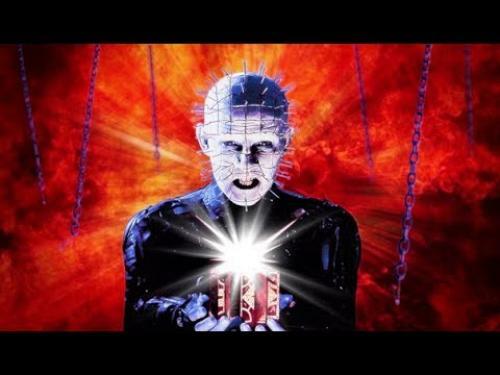 Clive Barker‘s The Hellbound Heart movie adaptation Hellraiser (1987) gave rise to the lead character Pinhead who has taken on horror icon status since. Actor Doug Bradley is considered without question, the best Pinhead ever! 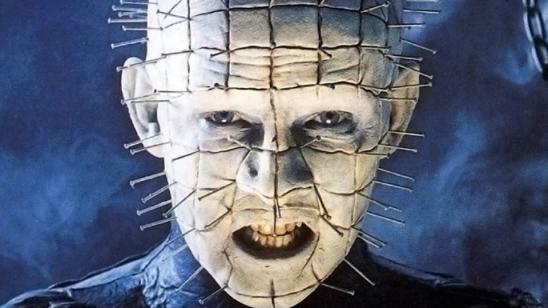 Here are the top 10 Pinhead facts you need to know. Thanks to Minty Comedic Arts for creating and posting this video. Writer Paul Kane created a novel with Sherlock Homles investigating Pinhead in Clive Barker’s Hellraiser Universe. The book is called Sherlock Holmes and the Servants of Hell and set in 1895. Pinhead’s name is not Pinhead, or at least was not initially. In the first film, he has no name, but the early drafts of the script had him as "The Priest" and referred him as "Lead Cenobite." The crew actually dubbed him Pinhead. Pinhead in the Clive Barker book is described to have more female qualities than a male with a description of his voice being that of an "excited little girl." In Hellraiser (1987), Pinhead is not the main villain, but instead Uncle Frank is the main villain. Pinhead and the other Cenobites take Uncle Frank because he solved the puzzle box, are they the heroes? No, they are not the heroes. The Freddy vs. Jason (2003) sequel was intended to include Pinhead and Michael Myers, but we will never see that film now. Also, Dimension Films were not able to secure the movie rights to Pinhead. Imagine Freddy Krueger vs Jason Voorhees vs Pinhead vs Michael Myers; it could have been glorious. British actor Doug Bradley did not want to play Pinhead because no one would be able to see his face under all the makeup. Glad he did. Pinhead has piercings below regions. Pinhead fought in World War I and was the war veteran, Captain Elliot Spencer before turning into Pinhead. New World Pictures originally wanted stuntmen to play Pinhead to cut costs. Clive Barker insisted that actors needed to play both Pinhead and the other Cenobites. The Pinhead character dates back earlier than the book The Hellbound Heart to an earlier play by Clive Barker titled "Hunters in the Snow." The character was called The Dutchman also played by Doug Bradley.